Being an important component of industries across America, diesel mechanics ensure diesel-powered vehicles are running at optimal performance levels. A 2012 report released by the U.S. Bureau of Labor Statistics (BLS) shows that approximately 230,030 diesel mechanics are employed across the nation. Because of the various opportunities in this field, diesel mechanics can specialize in a specific sector of the mechanic industry, whether it is for a locomotive company, avionics facility, heavy vehicle equipment corporation, or automotive services. Even though the law does not require diesel mechanics to earn special certification to find work legally in the United States, if a mechanic wishes to specialize in a specific sector of the mechanic industry, then earning a certificate is necessary to obtaining a higher paying position. Diesel mechanics can receive their certification by taking an exam through the National Institute for Automotive Service Excellence (ASE), which will cover topics like preventative maintenance, brakes, electrical systems, and steering systems. Before applying for the certification examination, individuals will need a minimum of two years of related work experience, providing them with an extended knowledge of this field. Diesel mechanics who do not have work experience can still qualify for the exam as long as they complete an approved co-op class through an Original Equipment Manufacturer or an apprenticeship program. The ASE offers various exams that provide special certification in certain fields of diesel repair, or diesel mechanics can earn a Master Diesel Mechanic Certification, which provides certification for all covered sectors. Individuals who obtain special certification need to renew the license every five years through qualifying re-tests. Diesel mechanics who have passed the ASE certification exam can find employment in a specialized sector of the mechanic industry. According to the BLS, diesel mechanics can make upwards of $79,250, depending on their field of expertise, previous work experience, and the company. Locomotive diesel mechanics maintain and repair locomotives, ensuring the efficient and safe operation of every locomotive in the railroad. Diesel mechanics can work for shortline, regional, or large railroads, with those being hired on at large railroads specializing in one sector of locomotive maintenance. Locomotive diesel mechanics need to be knowledgeable in the industry’s standards of operation safety for power tools. Depending on the location and size of the railroad, SimplyHired reports that diesel mechanics can make an average annual salary of $39,000. Diesel mechanics who specialize in the maintenance and repair of avionics equipment and aircraft need to earn special certification through the Federal Aviation Administration (FAA), showing they understand and meet the requirements of the FAA. Working at airline or avionic companies, some diesel mechanics maintain various aircrafts, such as propeller-driven airplanes, helicopters, and jets. Others work strictly on the diesel engine’s components. Diesel mechanics who work on airplanes can make anywhere between $17.82 and $27.18 per hour, depending on the location, company, and work experience. From construction to farming communities, heavy vehicles are vital to the successful operation of various industries in America. 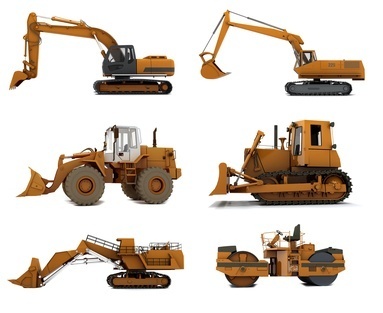 Diesel mechanics maintain and repair heavy vehicles and equipment for production and development services, including farm machinery, bulldozers, and cranes. Mechanics focus on the routine inspection of diesel-powered engines, fuel lines, transmission systems, and brakes to ensure the vehicle is functioning at peak performance levels. Technicians who work in large shops tend to specialize solely in diesel engine repairs, while those who work in small shops tend to perform multiple repairs on various systems, such as diesel engines, transmissions, and suspensions. A recent report by the BLS shows that heavy vehicle and mobile equipment service technicians make a median annual salary of $42,630, with approximately 179,200 diesel mechanics being employed in this sector. Automotive diesel mechanics, also known service technicians, specialize in the inspection, maintenance, and repair of light trucks and cars. Most employers in this sector of the mechanic industry prefer to hire those who have not only undergone formal education but also obtained special certification. With the increased sophistication of automotive technology, diesel mechanics need to be proficient in computerized shop equipment, electrical components, and traditional hand tools. According to the BLS, diesel mechanics who specialize in this field of expertise make a median salary of $35,790 annually, with approximately 723,400 mechanics being employed in this sector of the mechanic industry. With so many job specializations open to diesel mechanics, individuals have various career opportunities to choose from. The BLS reports that employment growth for diesel mechanics is expected to increase by 15 percent by 2020, which is around the national employment average. Those who wish to become a diesel mechanic need to complete the required formal education or on-the-job training, taking the ASE’s examination to earn their certification and obtain a position in a specialized sector of this industry.